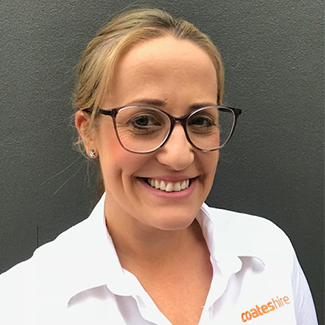 We spoke with Rebecca Richardson, Coates Hire Account Manager – Events, about the importance of events as one of the many industries they service, and why they support the Australian Event Awards. Coates Hire is a large company working across many industries with a long-term commitment to events, including through their support of the Australian Event Awards as a Major Partner for many years. They have enormous capacity to service events in every corner of Australia across all product groups, and are proud of their ability to make things happen quickly and efficiently for event organisers without losing community connection and detailed customer service. They actively maintain local involvement despite their large national capability, including through their support of the Coates Hire Best Community Event category. In partnering with the Event Awards, Coates Hire supports events innovation, and they do well to echo this with their own innovative practices, including sharing knowledge they have gained working in other markets with the events teams to open up opportunities and increase safety for their project teams. They have also been investing in new site lighting technology, and are looking forward to helping organisers reduce bump in times and increase efficiency – their new LED lighting products can run on as little as 1L of fuel per hour and many more can fit onto a single truck. Here’s to yet another fantastic ceremony celebrating the industry, including all the Awards’ valued partners such as Coates Hire.